Lifelong Michigander: Finding the Perfect Paczki in D.C.
A couple weeks before Lent, my wife found a box of paczki at a Giant. She brought home the red and white box with "Pączki" displayed in white letters on a red background. After opening the box, I found what appeared to be powdered jelly donuts. These did not look like paczki. I gave them a shot though, and they disappointed. They were dry and dense and just tasted wrong. Plus, the filling was custard. I have heard custard is an acceptable filling, but I prefer a berry filling. Regardless, even the best berry filling would not have saved these so-called "pączki" from their unauthentic taste. The Kosciuszko Foundation sells paczki on Fat Thursday, and paczki lovers can obtain them only if they pre-order. I emailed the lady who was in charge of the sale, and planned to pick them up at 1:00 p.m. 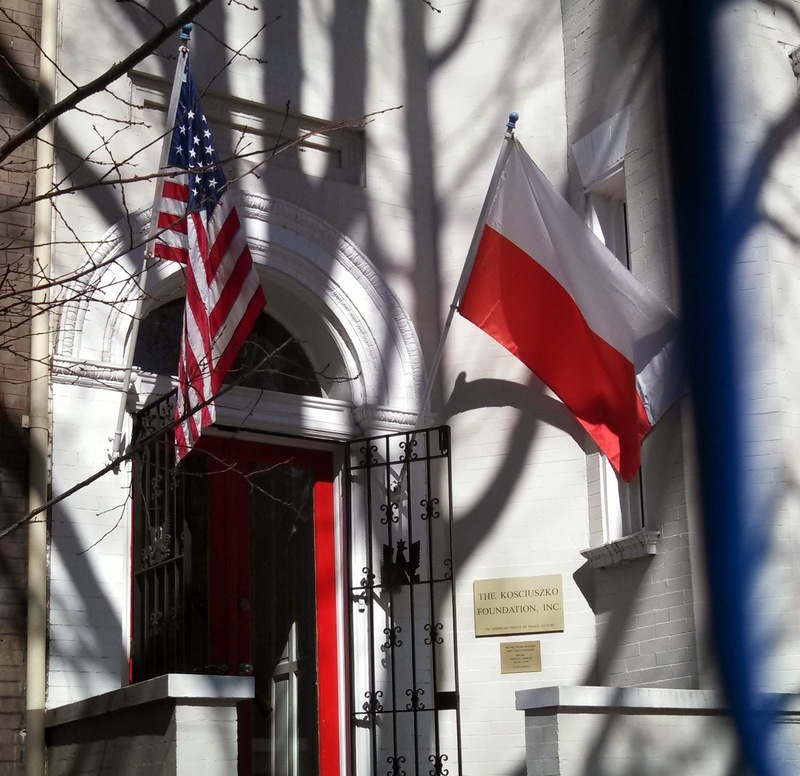 The Kosciuszko Foundation Center is in a row house on O Street near Dupont Circle. As I was walking toward the building, I noticed two young women walk up the steps to the building who were speaking Polish the whole time. When another young woman answered the door, they all greeted each other in fluent Polish. Feeling embarrassed at my own lack of knowledge, I merely said to the woman who answered the door, "Do you have paczki for sale now?" I tried to overcompensate for my ignorance of the Polish language by giving the worst pronunciation of paczki that she probably ever heard. Luckily, the two women running the sale were kind and spoke English (and Polish! 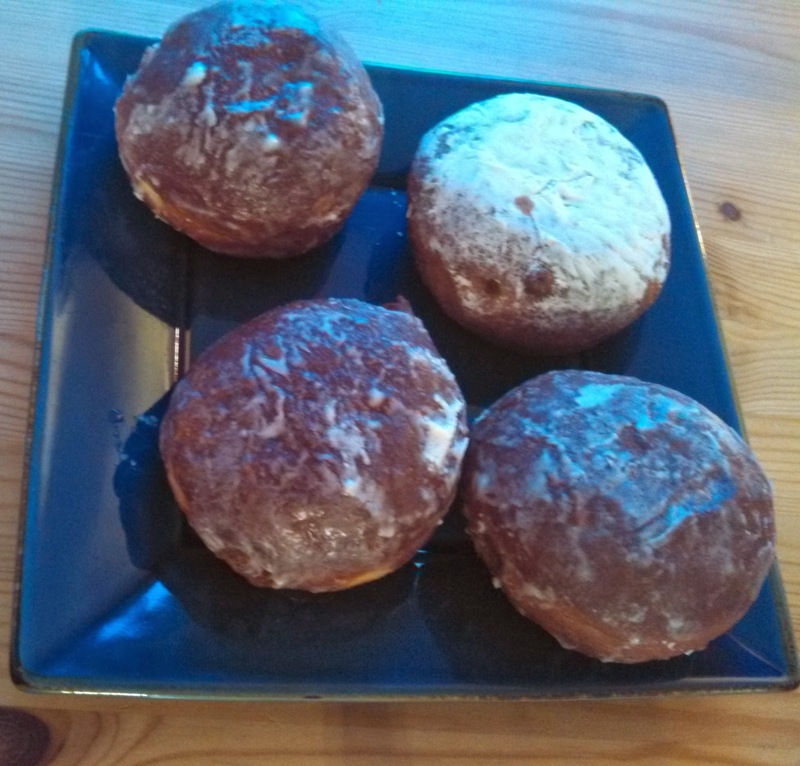 ), and the paczki were ready for me to pick up. The sale was very informal. There were several boxes of paczki, both glazed and powdered sugar, on the table, and they looked tremendous. I paid for the three I ordered and hurried home to try one. I ate one of the glazed paczki immediately. Delicious success!!! I tried to pace myself and savor the taste, but I could not stop myself from eating this beautiful pastry as quickly as my dog eats scraps of food that drop from our table. The outside glaze was perfect, and the inside was light and airy. The jelly filling was not the gross stuff found inside mass-produced donuts that probably does not even contain fruit. Instead, the filling was like high-quality fruit preserves. Instead of being housed in a jar, these preserves were housed in a doughy container of heavenly perfection. I think the filling was raspberry, but I cannot say for certain that it was not some other fruit or berry. 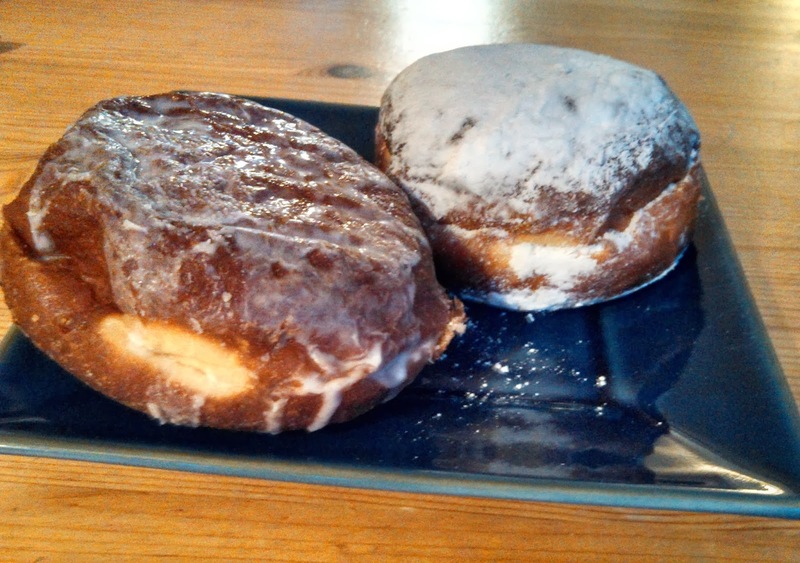 Who wants some post-yoga paczki? Paczki Day fell on March 4th this year, which is later than most years. Heavy snows in March are rare in D.C., but the area had a heavy snow storm the day before. I had to decide whether it was worth loading my two young girls (whose schools were closed) into the SUV and taking a long trip to Rockville to get my paczki. Thinking only of my daughters' well-being, I decided to take the trip (they did love the paczki they ate on Fat Thursday after all). Luckily, the roads were mostly clear. My daughters and I arrived shortly after they opened, so I decided to look around before picking up my paczki. The store has many Polish delicacies, but I wanted fresh kielbasa and pierogi. Their freezer section has many flavors of pierogi, so I went a little overboard buying six dozen. I also got one pound of smoked kielbasa and one pound of fresh kielbasa...it was FAT Tuesday after all. The two women working in the store were very friendly. They answered my questions about the different types of kielbasa and gave my daughters lollipops. Their hospitality made me feel like I was visiting one of my Polish grandmas or aunts. Although I had only pre-ordered a half dozen, they allowed me to buy three more for some friends. As I was waiting in the paczki line, the young woman in front of me noticed my University of Michigan hat and asked if I was from Michigan. We both said where we were from the Detroit area, and I think we both looked as excited as kids on Christmas morning. She mentioned that she had to go here if she couldn't be in Hamtramck. After I paid for my Polish feast, I turned around and saw a man in a Michigan State sweatshirt talking to a woman and her children. I made a comment about everyone being from Michigan, and the woman replied that she was too. Seeing this many people from my home state at a store in Maryland confirmed that this place was authentic. Even though the Kielbasa Factory does not bake the paczki themselves, I did overhear one of the women tell another customer that they were from a Polish bakery. I could tell they were authentic just by looking at them. After tasting one, I knew that, like the Kosciuszko Foundation's paczki, these were the real deal. They were a little denser and less airy, but they too reminded me of the paczki back home. I would highly recommend any Detroiters who live in D.C. to visit both the Kosciuszko Foundation and the Kielbasa Factory when Paczki Day arrives. 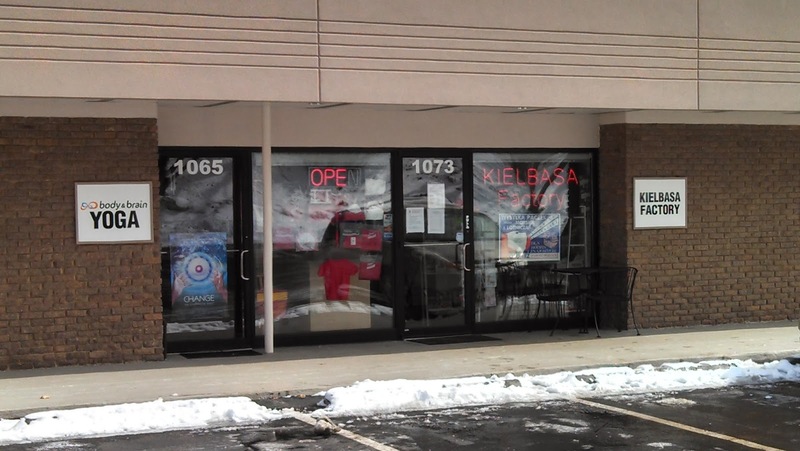 The Kielbasa Factory definitely has a lot to offer anyone who wants good Polish food. The kielbasa and pierogi I bought were delicious, and their paczki are superb. Plus, if you want authentic and delicious paczki on Fat Tuesday when Detroit and Hamtramck celebrate Paczki Day, the Kielbasa Factory is your best (and maybe only) bet in the D.C. area. However, on taste alone, my family and I decided that the Kosciuszko Foundation's paczki were a tiny bit tastier. After I wrote this article, I found another source of paczki near D.C. when I took a visit to Baltimore's Little Poland. I had not yet watched The Wire, so I was surprised by the long Polish immigrant history in Baltimore. Little Poland offers excellent Polish food, and the paczki at Krakus Deli rival the paczki at the Kosciuszko Foundation and the Kielbasa factory. The Woodmoor Bakery in Four Corners (near Silver Spring) has been doing Pazcki for decades. A simple google search will leads you to lots of reviews from this, and past years. Thanks, Joe. I remember seeing reviews of the Woodmoor Bakery when going on my paczki hunt last year, but I do not recall why I did not visit, other than not having time to visit. I just read that a place called Polish Market opened in Vienna that sells paczki as well. Unfortunately, now that I am back in Michigan, I probably will not have the chance to visit Woodmoor or Polish Market. However, I'm happy to know that DC area residents have so many paczki options.